Give your child the most unique and exciting party to remember by hiring a kids’ party limousine. Imagine the excitement in your child’s face seeing a sleek stylish limousine pulling outside your house and a professional-looking chauffeur invites your child and his or her friends to step inside the luxurious limousine. Surely, your child can’t thank you enough for the effort you’ve made in making his or her special day extra special. At Exclusive Limousines, kids are guaranteed to have the best and the safest limousine party ever. Our chauffeurs are highly trained and follow strict guidelines so you can rest assured that your kids are in good hands. 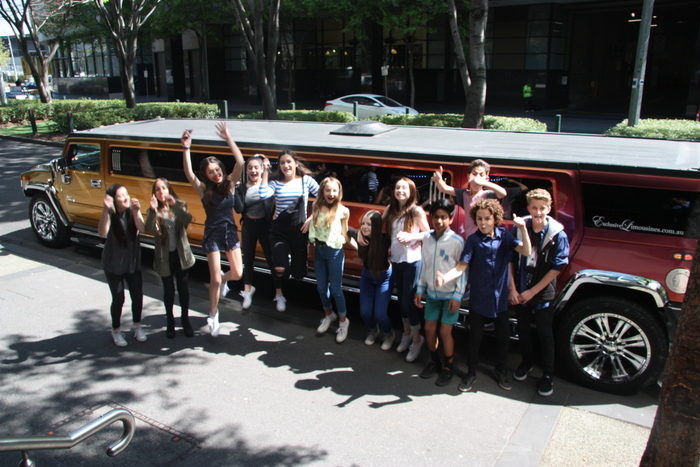 Our stylish limousine for kids’ parties can cater to both a boy and a girl party. We have an exclusive range of the most luxurious limousines that can accommodate up to 18 passengers. The choice is yours! We can guarantee that our expertise in the luxury transport service can turn your kid’s party into something they will never forget. Don’t stress yourself spending a fortune on getting an entertainment and catering service that will not give a truly enjoyable kids party. So for your child’s next party, give him or her something unique. Hire our exquisite kids’ party limo service for an enjoyable and unforgettable experience. Exclusive Limousines can provide you with the most memorable and sophisticated ride, affordable price and one of a king service. Call 0428 486 637 for Premier Limo Hire Melbourne. We can make a big difference in your kid’s party with our incomparable quality service at very reasonable rates.